Jenny is a Sydney based floral artist with a background in botanical painting and ceramics. Her training includes Fine Arts (Oil Painting). Jenny’s subjects are found in nature where from an early age her parents encouraged her to take notice of the ‘small details’ in her surroundings. 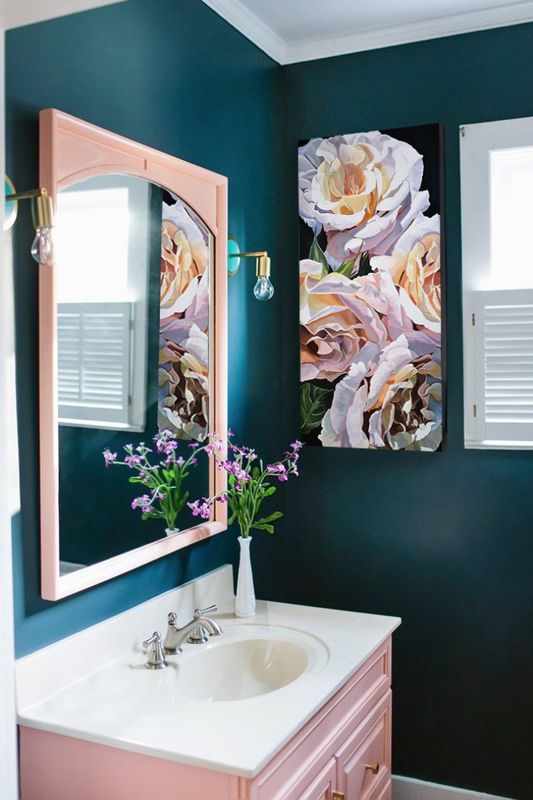 Jenny believes that flowers have a unique allure, and refers to her large scale canvases (some up to 152 x 122 cm) as floral portraits revealing this individuality. Her style is representational, and the large scale is deliberate; to immerse the viewer in a cinematic experience.Some works explore the luscious, secret world at the centre of a bloom, while others pull back to celebrate the opulence of several flowers together. Jenny is interested in the play of light through petals revealing complex structures and colours. Her process involves seeking out flowers in parks and gardens as well as regular trips to flower markets. Jenny photographs flowers, buds and leaves from different angels and in different lighting conditions before creating her vision on canvas. Jenny has exhibited paintings in the Gosford, Lindfield and Hunters Hill Art Exhibitions with 5 works shortlisted for prizes. Her solo exhibition was hosted in Moulton Gallery, Mosman early 2017. Her works are soon to be featured at Floriade, Canberra and Eden Unearthed Exhibition, Eden Gardens Macquarie, NSW. Jenny is represented by 3 galleries, including the online gallery Art to Art. Her works are for sale and via commission.